"Keep calm and carry on," European Commission spokesman Margaritis Schinas said when asked about the vote's potential impact for the EU. "We have confidence in president [Sergio] Mattarella's abilities to facilitate the formation of a stable government in Italy," he said, while refusing to comment on the election's outcome as long as the final results were not known. "In the meantime, Italy has a government led by prime minister [Paolo] Gentiloni with whom we are working closely," he said. In Berlin, chancellor Angela Merkel's spokesman said he "wish[ed] everyone that it doesn't take six months" to form a government - a reference to the time it took Germany to have a new government. He added that "of course contact will be established with the next Italian government, whatever its makeup." But the right-wing coalition made of Silvio Berlusconi's Forza Italia, the League and Brothers of Italy got a total of around 36 percent. 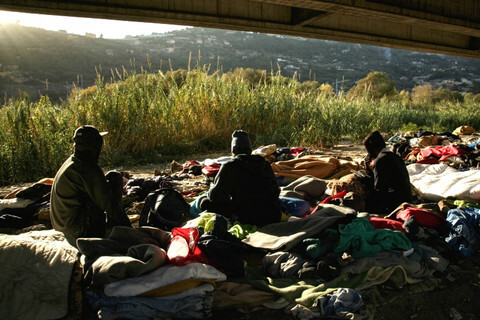 Within that bloc, the eurosceptic and anti-immigrant League came ahead of Forza Italia. 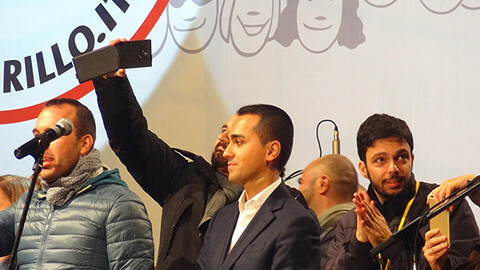 "We are the absolute winners," said Di Maio, announcing the beginning of a "third republic, the republic of the Italian citizens." He insisted that M5S would take "the responsibility to give the country a government" and that he was "open to a dialogue with other political forces." 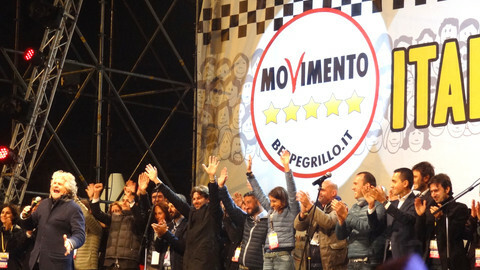 Salvini, for his part, said that the right-wing bloc has "the right and the duty to govern". He stressed that he was the leader of the first party in the bloc and ruled out any "strange coalition". "Luigi Di Maio is more open, more institutional. He needs to talk to others. 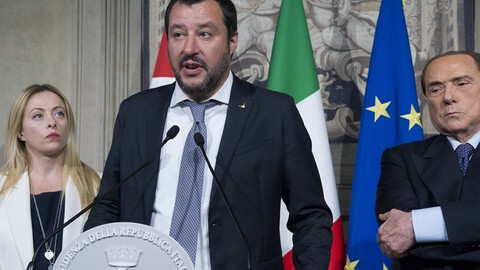 Salvini is self-confident, putting limits to dialogue with others," noted Teresa Coratella, from the Rome office of the European Council on Foreign Relations think tank. She told EUobserver that while "Salvini is one of the two winners" of the vote, along Di Maio, "it is still unlikely that he will be prime minister," because his coalition will not have enough seats. "What Italy needs now is a political leader who is able to engage and dialogue with other parties," she said. "There will be long period of instability, crisis, uncertainty, starting from the winners: no one knows what has to be done," Sergio Fabbrini, director of the LUISS School of Government in Rome, told this website. 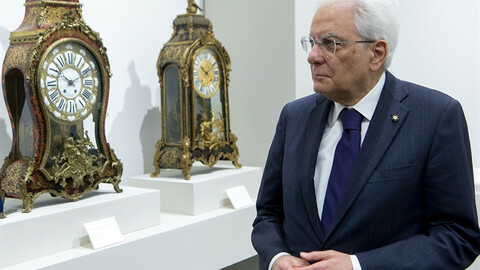 After the setbacks of both Berlusconi's Forza Italia and PD led by former prime minister Matteo Renzi, a German-style grand coalition is "quite unlikely", Coratella said. "We should have a government by the end of March or early April, but we don't know which one," she said, adding that party leaders should be motivated by a sense of urgency. 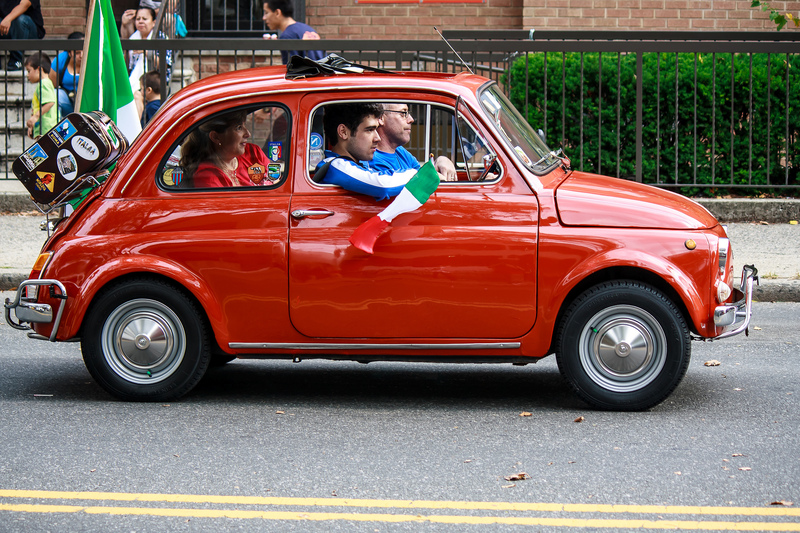 "Italy cannot wait that long, it needs to go on with reforms," she said. "It needs a stable government to move ahead." Financial markets appeared to be confident a stable government can be found soon, as Europe's main indexes in London, Francfort and Paris were on the rise on Monday - with only Milan losing over one percent. The market's reaction also seems to brush aside concerns over a eurosceptic government in one of the EU's founding countries. "I am and remain a populist," Salvini claimed on Monday, adding that the euro was "destined to fail". "We don't know what he will say tomorrow," ECFR's Coratella said, warning that "not many" in either Italy or in Europe believed his changing positions. She said that potential plans to reform or leave the euro were mainly "political slogans". "As we saw with Brexit, such things need a lot of time and political commitment of all parties involved, or at least a majority," she argued, adding that there would be no long term support for such a plans. "Italians don't reject Europe," she insisted, explaining that Sunday's vote was more about local and social issues. For Italy and the EU, however, the election could have "dramatic, very strong" consequences, LUISS's Fabbrini warned. He said that with Germany and France ready to move forward, now that there is a coalition in Berlin, Italy could be put "at the margins, to be contained in order to avoid that the disorder spreads [across Europe]. "This would have dramatic consequences, like when Brexit changed the balance in Europe," he said. 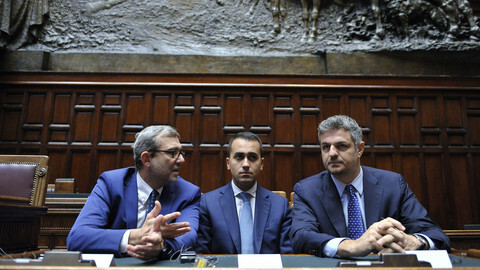 As Italy is now cut in two, with the League holding the north and M5S dominating in the south, Coratella said that "the results need to be looked at very carefully" by Italy's partners. With similar political forces strong in France, Germany, Austria and other countries "the situation might be quite peculiar next year", when people vote for the European elections. 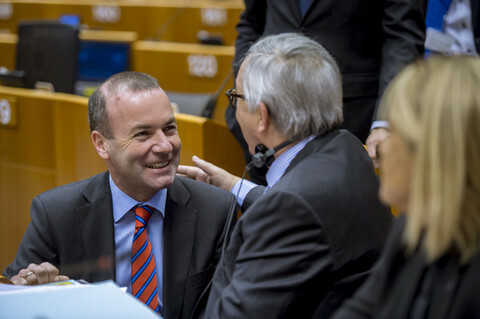 Sunday's election outcome, under a new system, remains uncertain and is likely to result in uneasy coalitions between parties with conflicting views on how to deal with migrants and play a senior role in Europe. 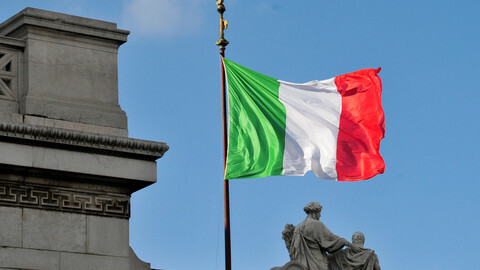 Two leading opposition figures in Italy have said it should stay in the euro, soothing tension around this year's big EU election. The situation as Rome tries to form a government is turbulent and unpredictable. However, the most extreme eurosceptic policies floated during the election campaign are unlikely to happen - not least due to the precarious state of the Italian banks. Italian politicians will try to agree on coalition talks to avoid new elections, while the French president will celebrate his election anniversary with an EU prize. The leaders of the two main political parties want elections in July, despite fears of low turnout and prolonging the uncertainty. EU officials are worried that a prolonged political uncertainty would further weaken the Italian economy.